1) Attended UCLA – Goeddel had an important year in 2010, as he made 36 relief appearances to help UCLA reach the College World Series finals. 2) 24th Round Pick– Goeddel was signed in 2010, and has moved up through the organization with an impressive pace. He is on the Mets as of 4/19. 3) Strong Years in the Minors– Goeddel pitches to a 6-0 record with a 2.85 ERA during early 2013, he also threw 51 strikeouts in that span. 5) MLB Debut in 2014– Goeddel was called up when rosters expanded last September 1st. 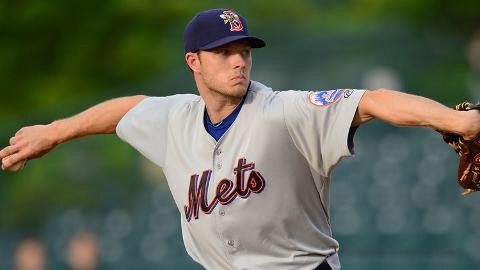 Ever since, Goeddel has been on the Mets active roster (except April 6th). He has a chance to solidify a spot in the bullpen with a strong performance early this year.